A noir fiction novel, a story of survival in a world where loyalty is pure instinct. "I was born a mestizo, a cross between a Spanish and Brazilian Mastiff. When I was a puppy I had one of those cute and ridiculous names that are given to newborn dogs, but that was too long ago. I've since forgotten it, and for a long time now, everyone calls me Blackie." For days now, nobody at the neighborhood dog gathering place has heard or knows Teo and Boris’ whereabouts. His friends sense that there is something dark and creepy behind their disappearance, and that keeps them on alert. Whatever happened cannot be good; everyone suspects it and their friend Blackie, a retired fighter with scars on his nose and his past, knows it. For him it is a matter of instincts, and that leads him to embark on a dangerous journey to the past, in search of his friends. 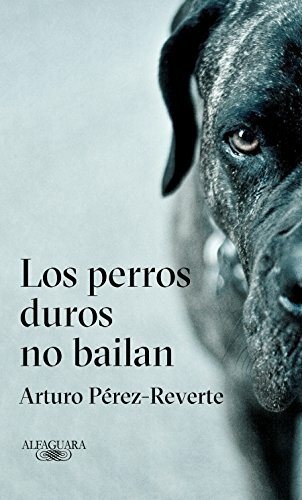 In this amazing noir fiction novel that is funny, caring, and overwhelming from beginning to end, Arturo Pérez-Reverte narrates with great mastery the adventures of a dog in a world different from the human world, one where the rules that reign are loyalty, intelligence, and camaraderie; a world where sometimes there is mercy for the innocent, and justice for the guilty ones. If you have any questions about this product by Alfaguara, contact us by completing and submitting the form below. If you are looking for a specif part number, please include it with your message.